Increase the value of your home with a unique automated driveway gate that blends effortlessly with the style of your home. Secure your property with matching fencing. Whether you want a driveway gate that automatically opens when you pull up, a coded entry system or a manual gate, Automated Gates and Equipment offers you design, custom building and on-going maintenance that you deserve. 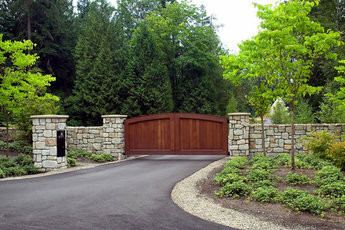 Take a look at our portfolio of residential driveway gates and you'll see why so many homeowners in the Pacific Northwest choose Automated Gates and Equipment to secure and beautify their homes.